Our Luxury Hand Wash is Sulphate-free, Paraben-free and contain no harmful or toxic chemicals, dyes and synthetic preservatives. It is also formulated with Marula Oil. It is kind & gentle to your hands, leaving them feeling soft and delicately fragranced. Our Sulphate-Free Luxury Hand Wash is formulated with over 98% natural ingredients. In addition, our product contain no synthetic dyes and synthetic preservative. It is also enriched with Marula Oil. Marula oil is rich in oleic acid, which is essential for beautiful and healthy skin. It suits all skin types with several amazing benefits. Some of these benefits are listed below. Most of our customers prefer their hand wash to have a fragrance. Therefore, it is delicately fragranced with a mild, fruity and jasmine aroma. The fragrance in our product is considered to be synthetic. Hence, it contain minute quantities of allergens which are: Benzyl Alcohol (0.00004%); d-Limonene (0.00012%); and Linalol (0.000008%). Lovely product soft and gentle, kind to your hand. Lovely scent from this natural product. I am loving it, highly recommended. 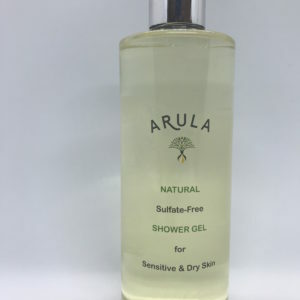 I am delighted with my Arula handwash. It is silky, has a good lather, beautiful perfume and leaves my hands feeling moisturised. My husband recently order this and I must admit I am quite impressed by it. Having young children I am trying to pay more and more attention to the ingredients of the products I used and this soap is only made with really safe ingredients. You only need to use a little to foam properly and it leaves your hands soft and moisturised with a lovely smell afterwards.